My friends at Edge magazine understand that there are no more sinister and fascinating creatures to me than the CEOs of large tech and videogame corporations. It has always baffled me why they are allowed on stage at consumer-facing events, where their antics betray a complete lack of humanity. 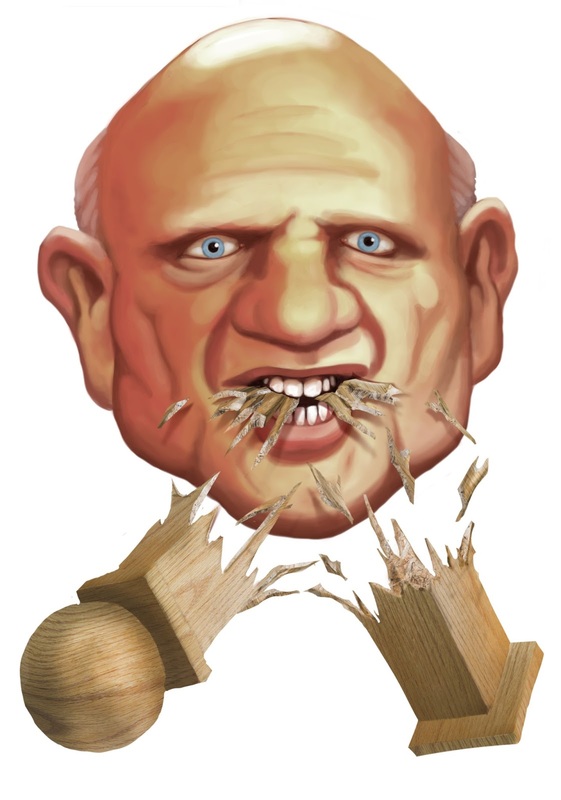 Witness the chittering, insectoid disquiet of Don Mattrick, as one of his several tongues flick out to tease the meniscus of his pearl-black third eye, or John Riccitiello's baleful gaze, which scythes through the audience, turning attendees into clouds of ash. 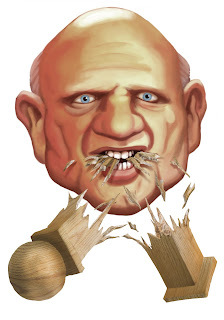 Anyway, here's a picture of Steve Ballmer eating a bedpost, which I was actually paid to draw, improbably.